We when we finally arrived in Moncton we were about an hour late. Which isn’t a big deal UNTIL you realize that your rental car company in closed for the WEEKEND! I mean, come on. Seriously. And it was cold and rainy and windy out. Freaking miserable. Luckily the rental car company was open at the airport. Unfortunately it was 7 miles from the train station. So the Husband and I got everyone’s luggage from the checked baggage, piled it up with mother and grandma, and headed in a taxi to the airport. I called Budget ahead of time and they assured me there would be a car for us there. Well. We got there and the counter was abandoned. No one there. No one answering calls. And the airport was seriously straight out of the show Wings. 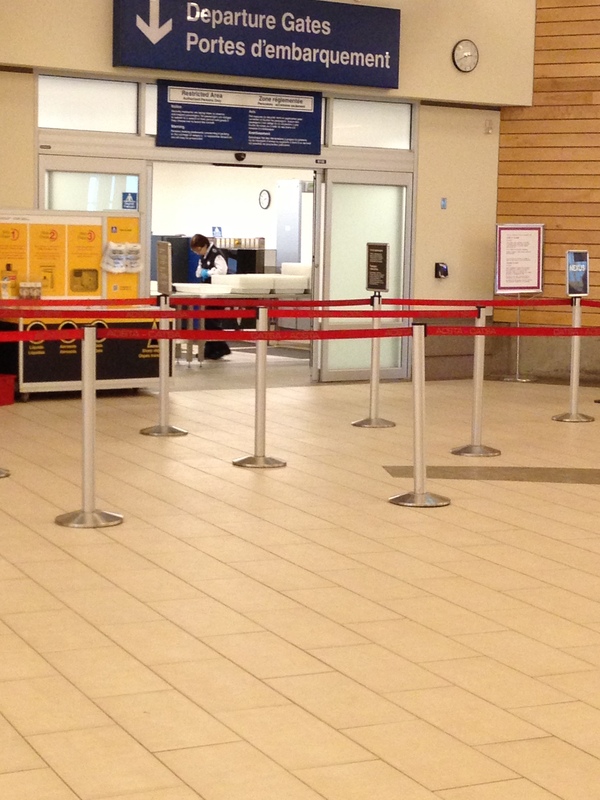 One tiny check in counter, one tiny security checkpoint. 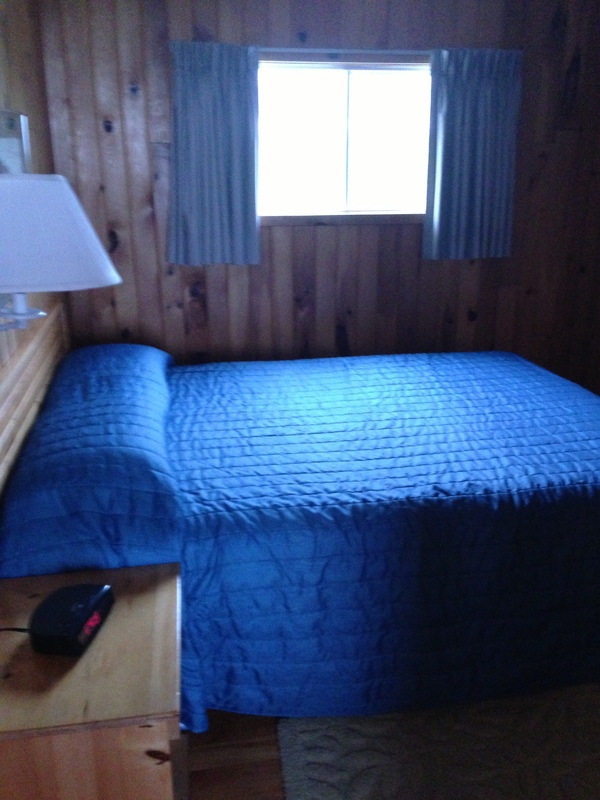 So thirty minutes later we gave up on Budget and rented from one of the other counters. Finally, the last company had an SUV large enough for four adults and four giant suitcases, and comfortable for grandma. Our Ford Explorer. Started out as an annoying mistake and ended up with one of the nicest cars I’ve ever driven. 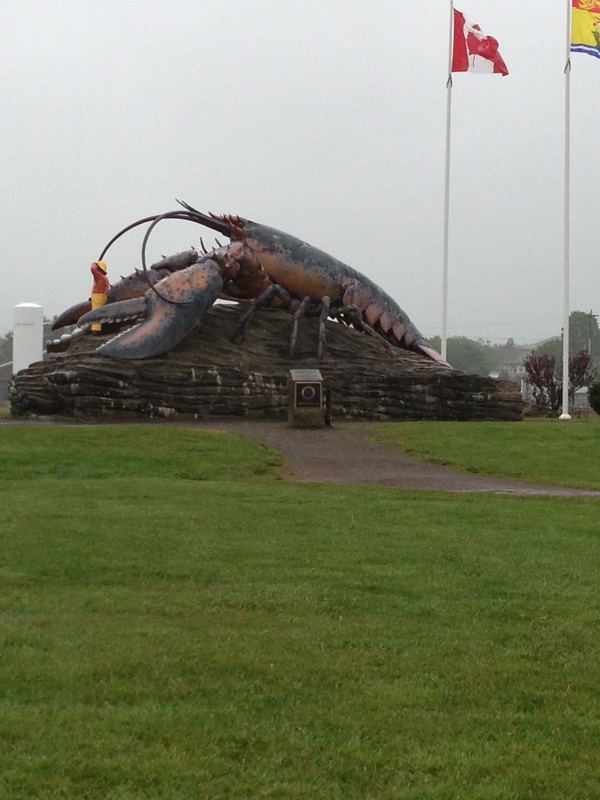 Our taxi driver, Oleg, told us his town of Shediac, New Brunswick, was known for their fabulous lobster. So the Husband and I headed back to the train station, packed up the ladies and luggage, and headed for lunch. 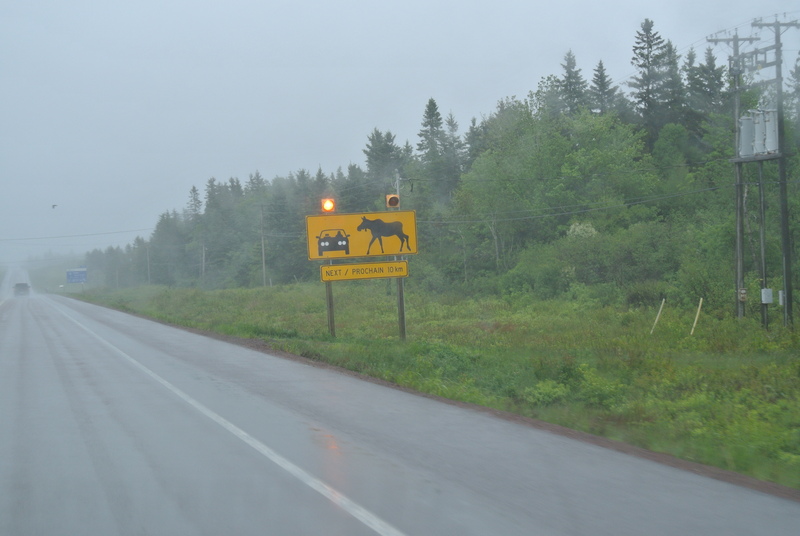 As soon as we turned off the interstate in to Shediac I knew we were going to have a fabulous lunch. 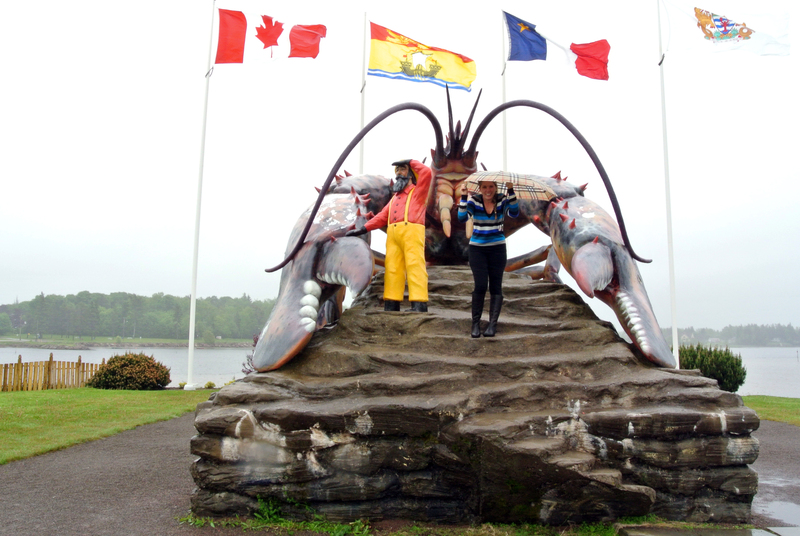 Me and the world’s biggest lobster. And we did. We all ordered a different lobster preparation (well, except the picky Husband) and shared them. And it was fantastic. So worth the hassle of our train being late, the car rental place closing, having to take a taxi to the airport, waiting at the airport, finally getting a car, and picking up mom, grandma, and the luggage. I wish I could thank Oleg again. 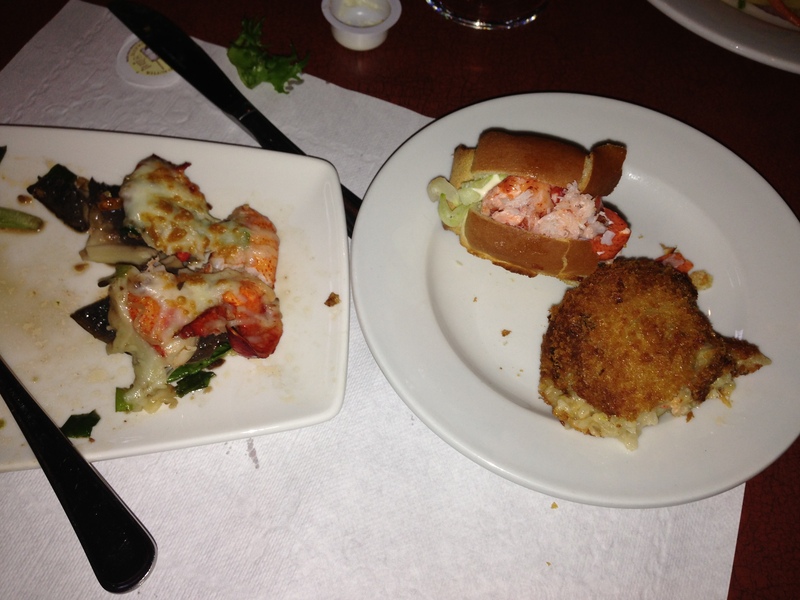 Lobster roll, lobster stuffed mushrooms, and lobster risotto. 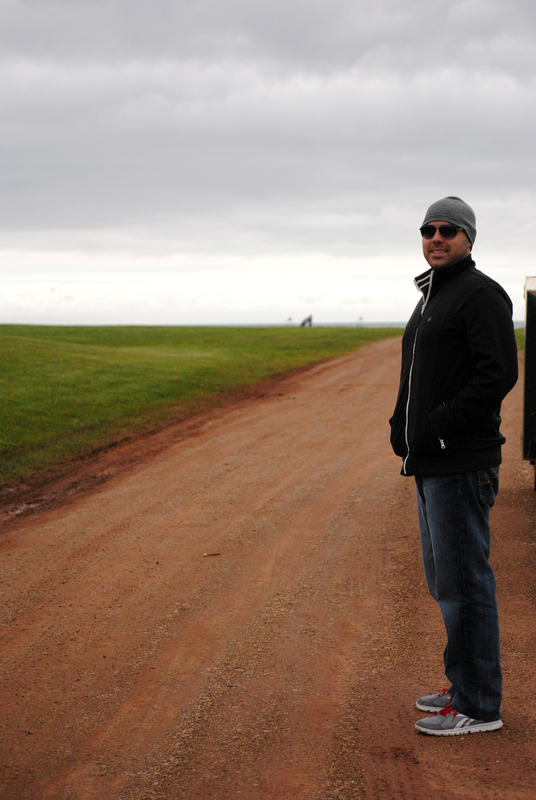 After we were fat and happy, we started the drive to Prince Edward Island. That’s when it really started to look like Canada. 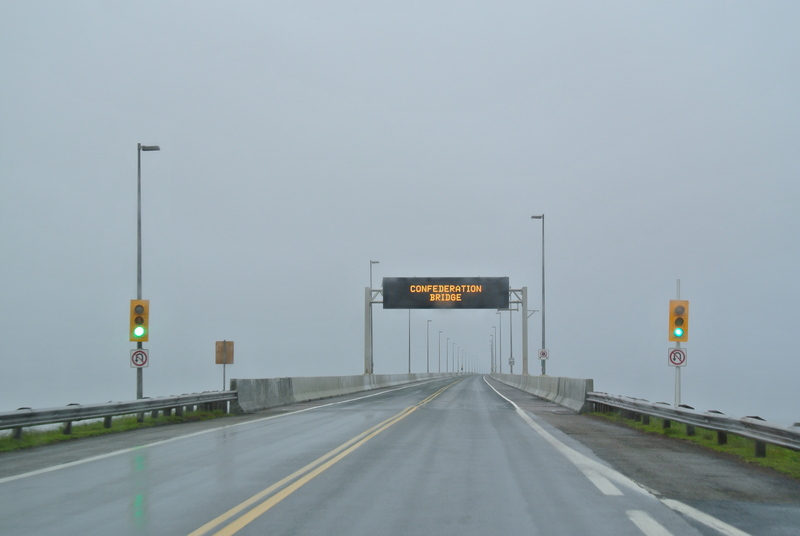 We finally made it to the eight mile long Confederation Bridge to PEI. Took fooooorrrreeeeevvveerrrr to cross in the crappy weather. Darn Tropical Storm Andrea followed us from Tampa. 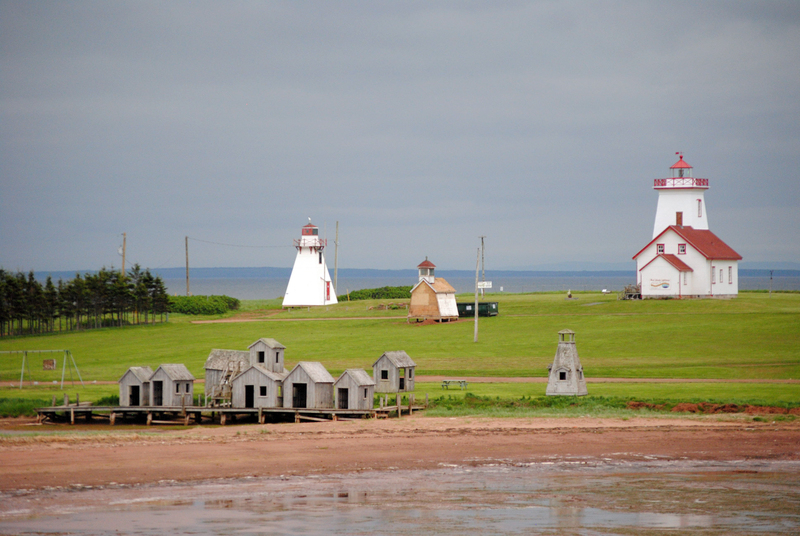 And then we arrived in Prince Edward Island. 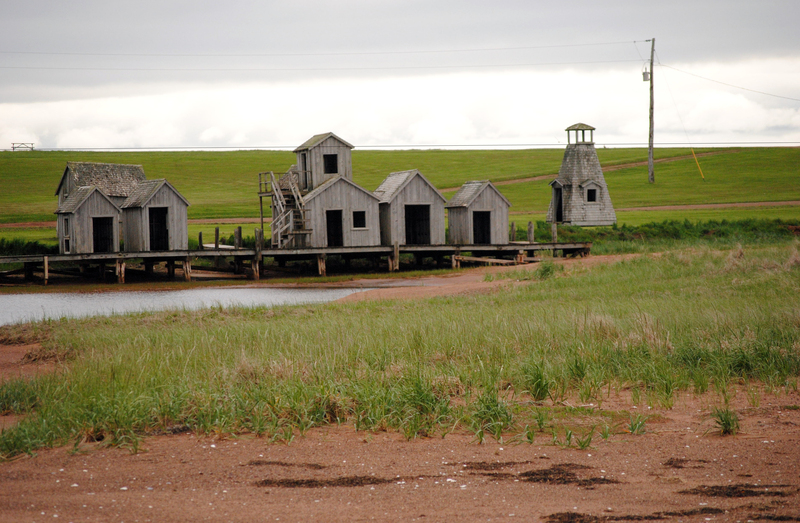 We had really been looking forward to PEI. 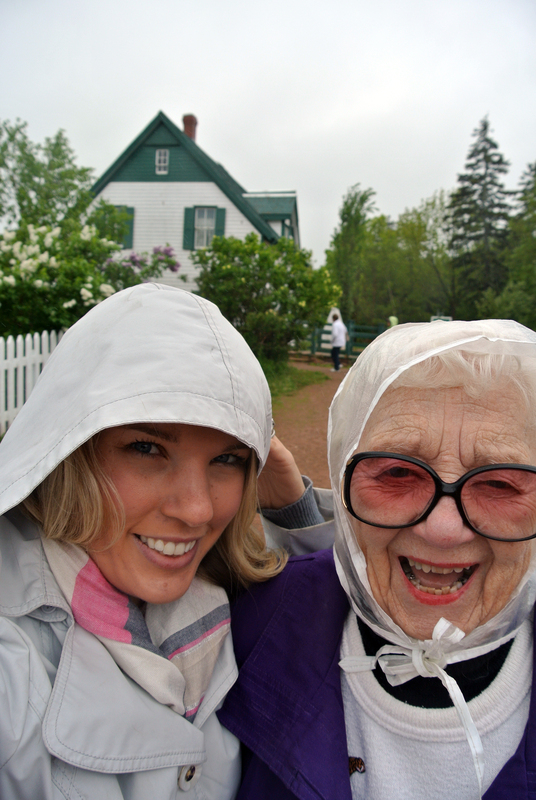 I mean, red dirt, mussels, and Anne of Green Gables. What’s not to love?!?! The weather. That’s what’s not to love. 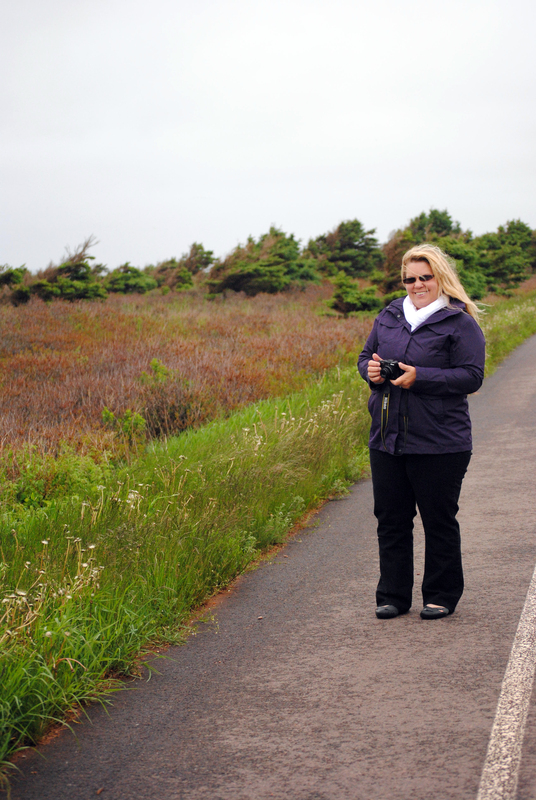 That darn Andrea struck again, making it cold, wet, and windy the ENTIRE time we were there! Luckily you could still see the beauty thru the rain. The red dirt was so red and the lupine flowers were so bright and colorful. 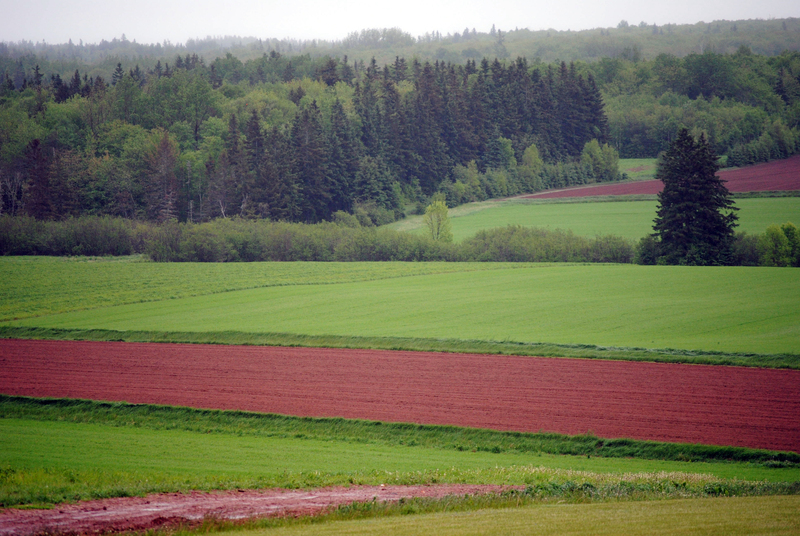 The red fields of PEI. 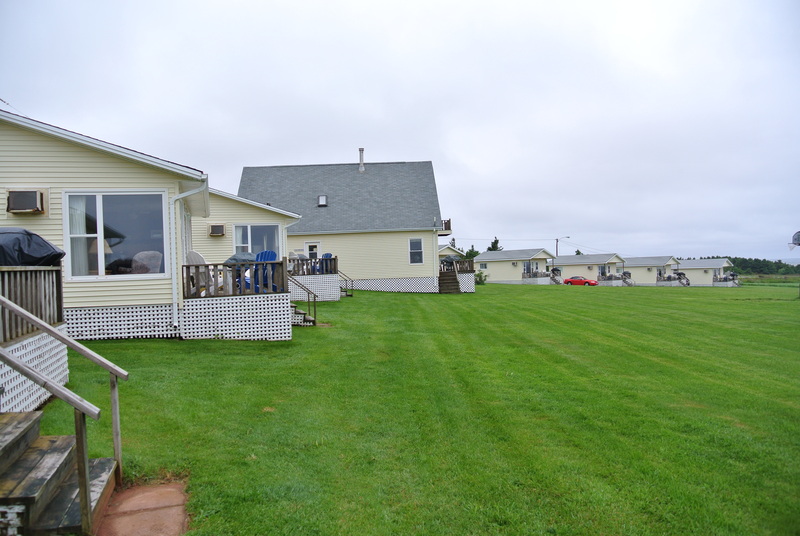 We checked in to the Cavendish Beach Cottages. It was a cute little area, right on the coast, and I bet it is FABULOUS when the weather is nice. 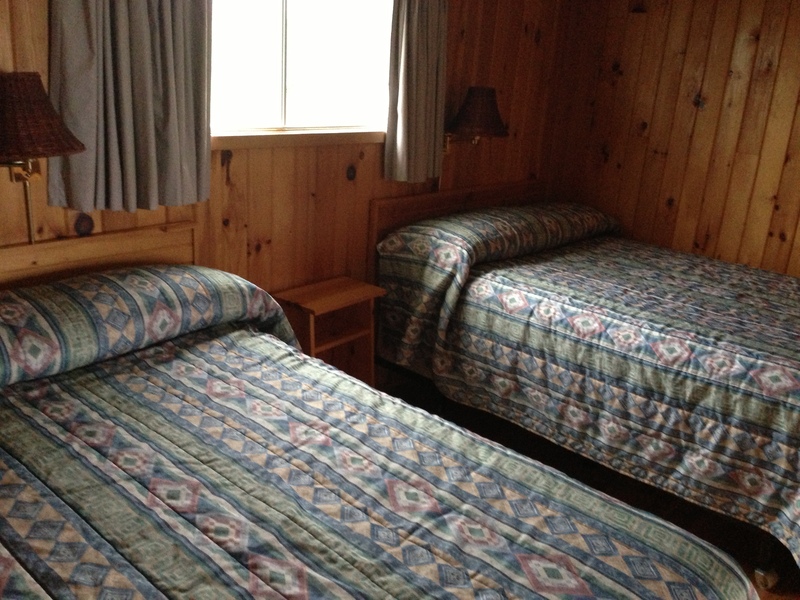 I can see the whole family going back and renting multiple cottages some day. 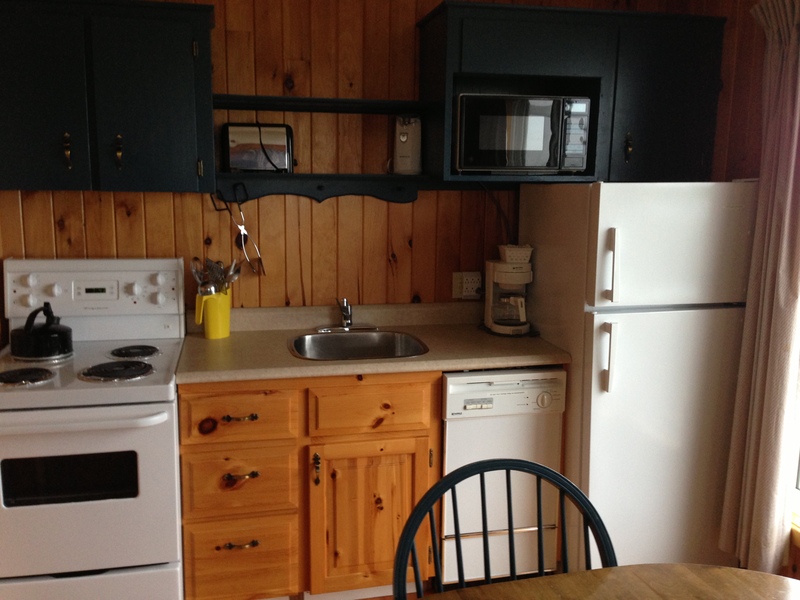 The inside of the Cavendish Beach Cottages. By the time we got inside and settled it was too cold for grandma to go back out. So mother, the Husband, and I headed out to eat. There was only one place open so late (9 PM) so there wasn’t much of a choice. But it worked out fine. 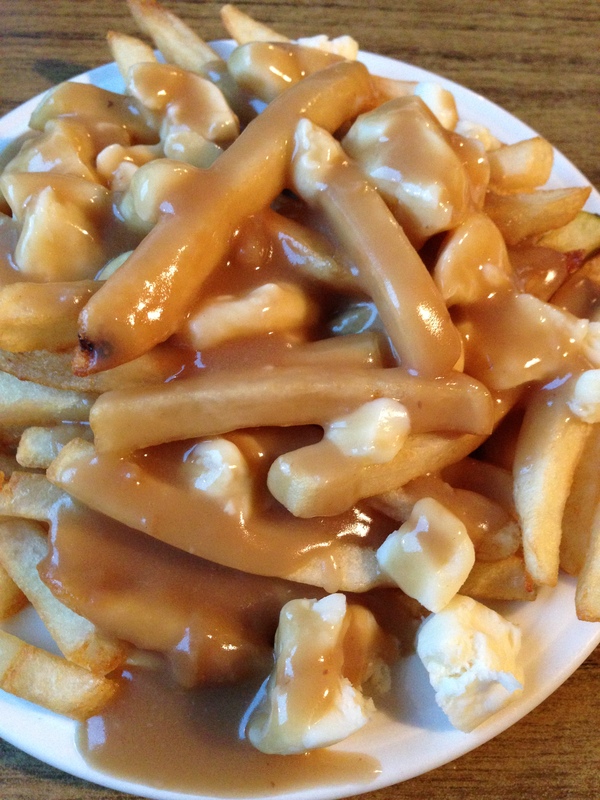 I had some fabulous mussels and poutine. 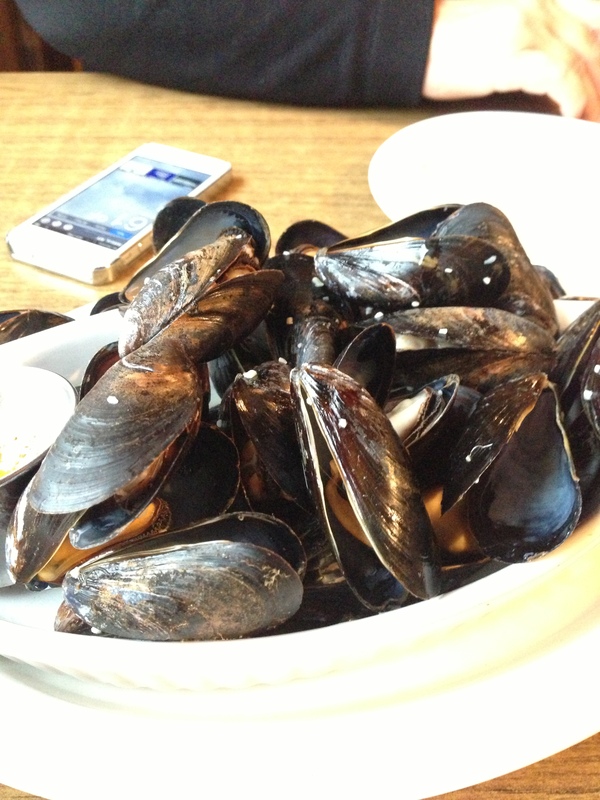 Our PEI poutine and mussels. After dinner is was just too darn cold to do anything else outside. 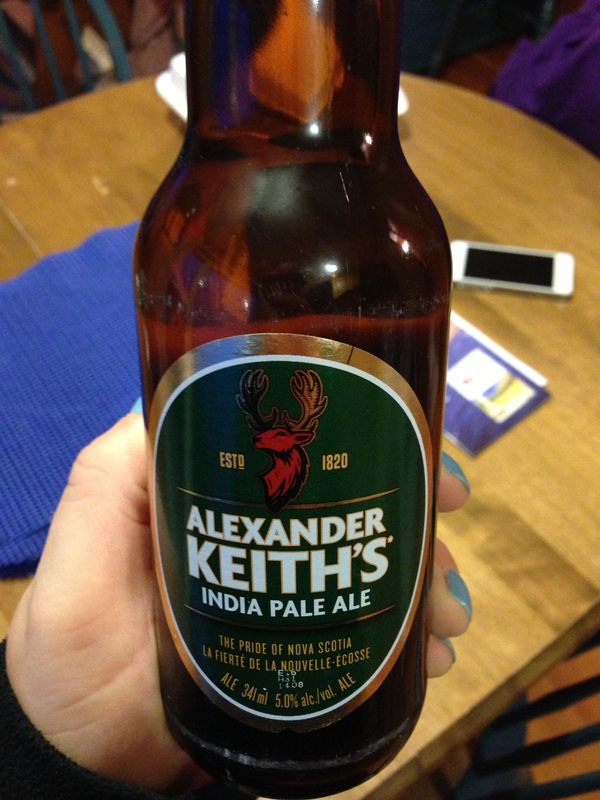 So we headed back to the beach cottage and played rummy and drink Canadian beer. 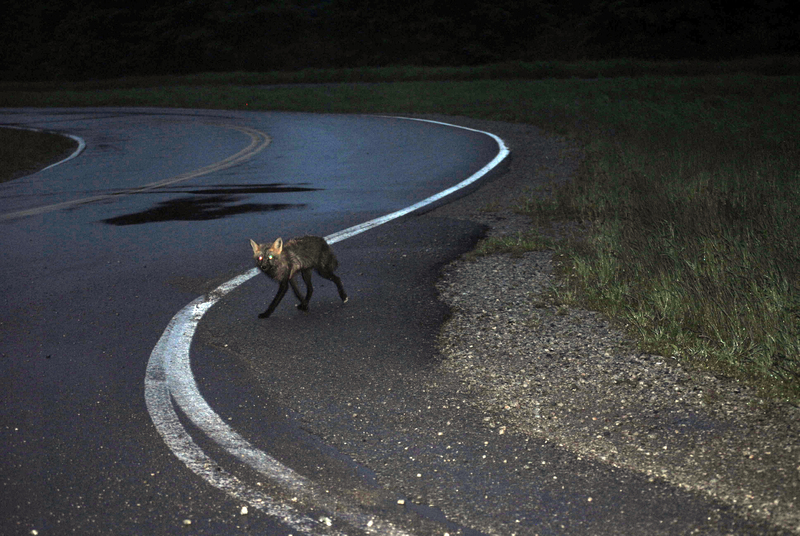 We saw a fox on our way home. Cute little guy. This ended up being one of the most fun nights of the trip, even though we knocked the power out twice with out heater use! The next day we bundled up and headed outside. 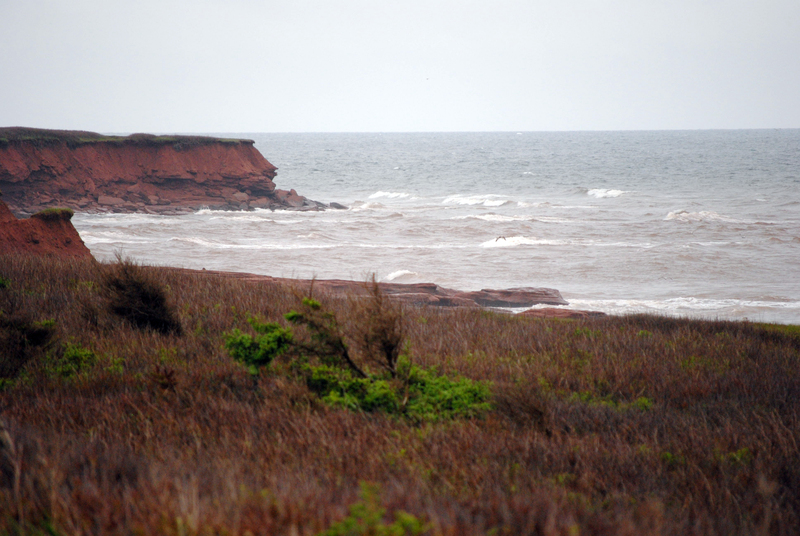 The red cliffs were so beautiful. I think that maybe they were even prettier in the gloom of Andrea than they would be in the sunshine. Mother, the Husband, and I all braved the cold wind to take photos. Grandma was the smart one and enjoyed the view from the warm car. 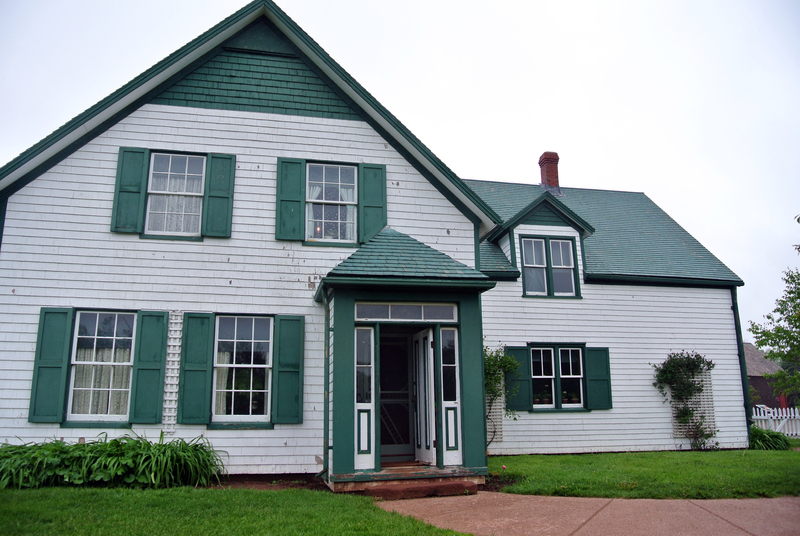 Out next stop was Anne of Green Gables house. 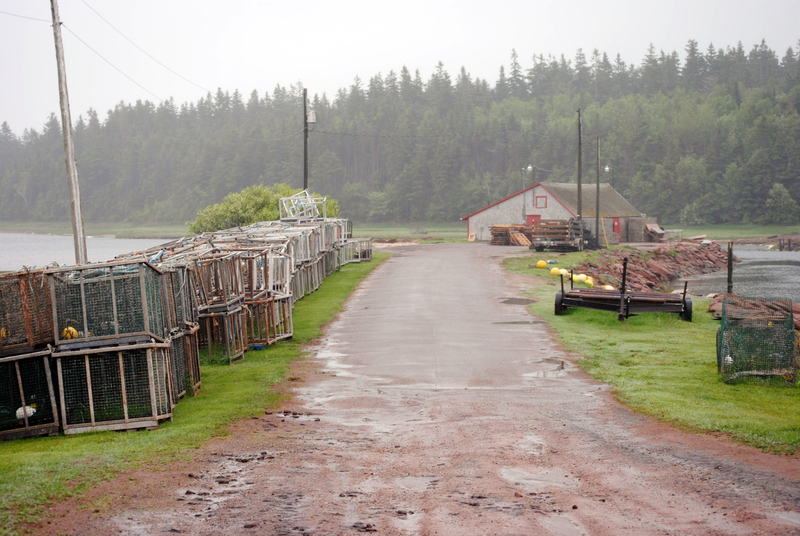 It was the main reason we went to PEI (well, that and mussels.) Grandma really loved the series and I became pretty fond of it myself; I read most of the books before our trip. If you have never read them, do yourself a favor and read them. There are a lot of books but they are easy and enjoyable reads. Anne is one of the cutest, lovable characters that I have ever read in a book. And she calls people “kindred spirits” and that is so darn adorable. 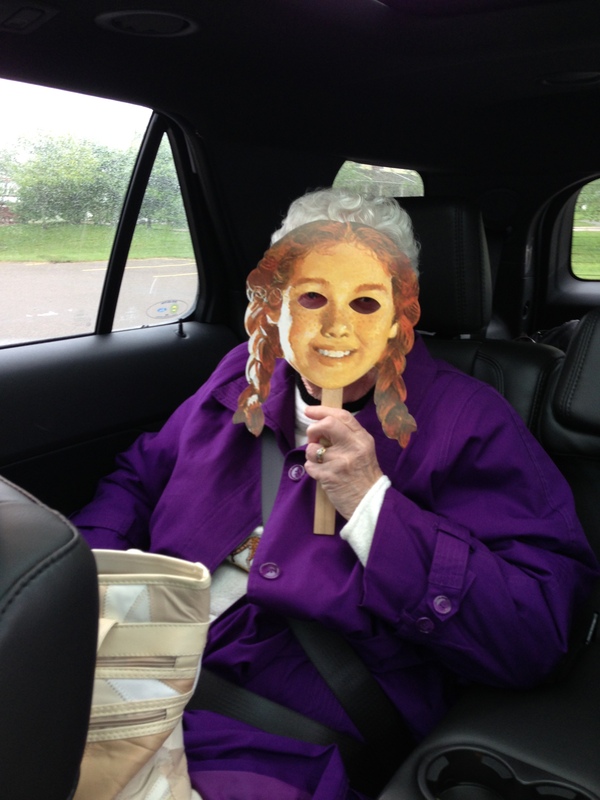 Grandma with her Anne mask. Me and my kindred spirit at Anne’s house. It was still so cold and windy and wet. Yuck. That’s my “Get me back to Florida but I’m pretending I’m not cold” face. 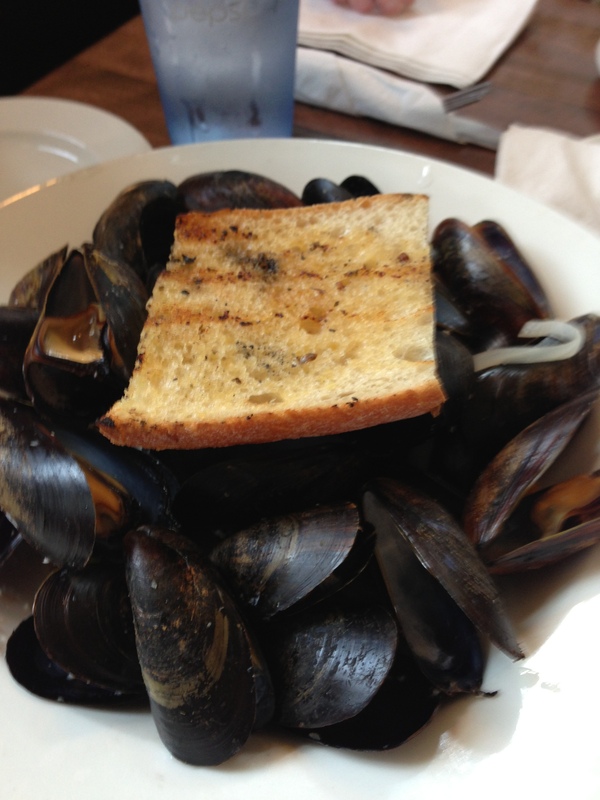 We walked around outside (they only have private tours on Sundays) and then headed towards the ferry to Nova Scotia.But first, we had to stop for mussels one more time. We arrived at the ferry port pretty early, so grandma had a chance to relax while we took some photos. Yes, she is 86 and no , she doesn’t go to yoga. 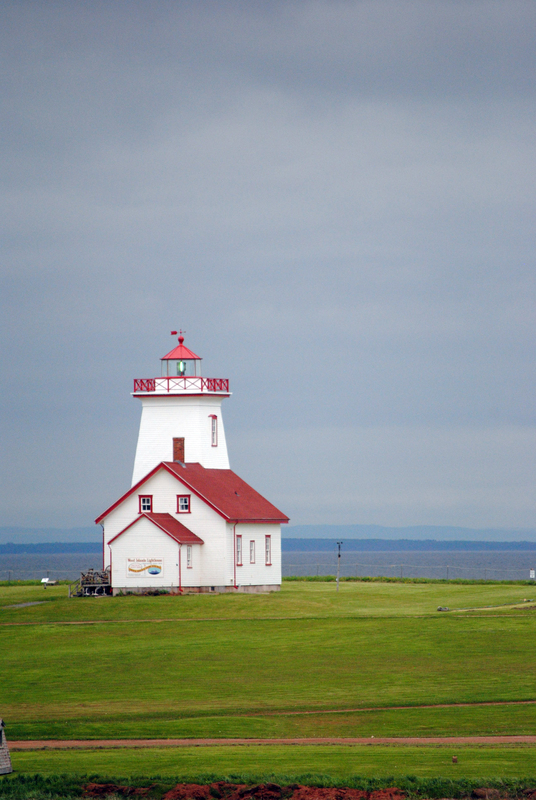 The beautiful lighthouse and little “playground” at the ferry port in PEI. So I was told this is a little playhouse area. I’m not sure about that but I do know that it was super adorable and I kinda wanted to play inside. 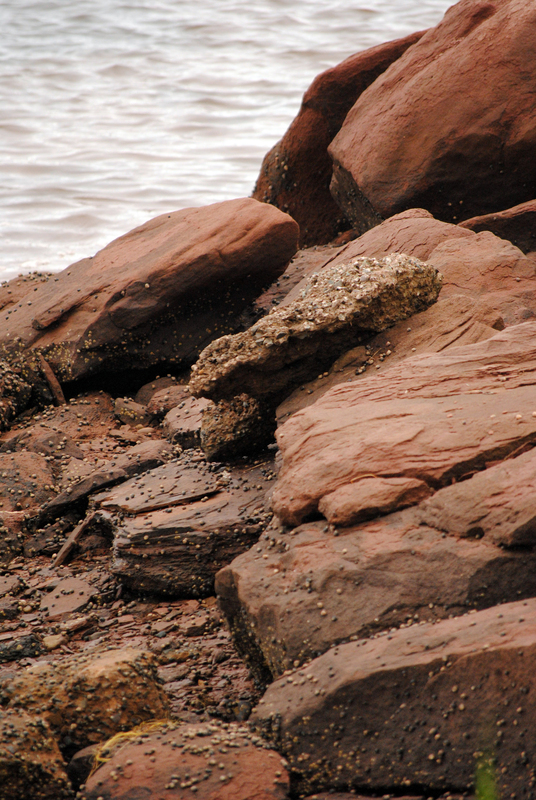 The rocks in the water at the ferry port. For some reason I just really love this photo. The rocks look so pretty. 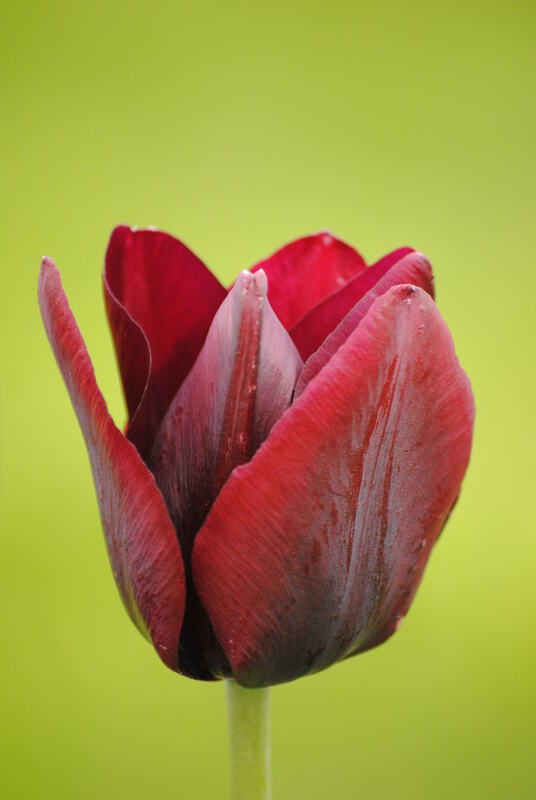 Pretty tulip at the ferry port. 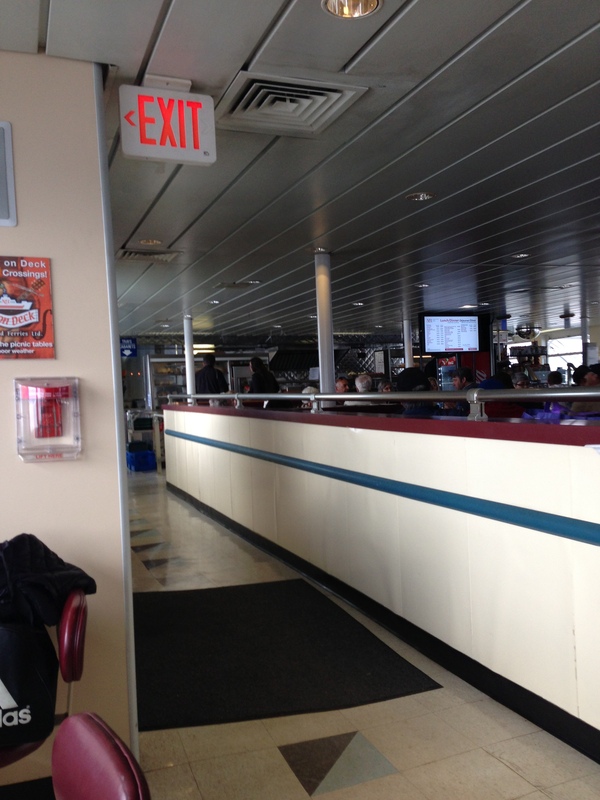 So we finally boarded the ferry, and it was my first time driving a car up on a boat. I was a little nervous, considering I’m used to my little 3 Series and this was a full size SUV (not to mention the backseat drivers in the car….) but it was no problem. Actually, it was kind of fun. 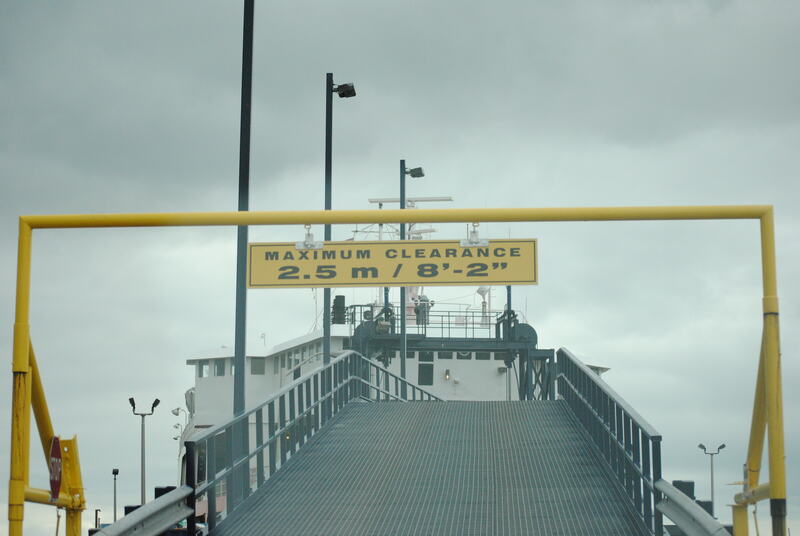 The ramp I had to drive up to get on the boat! 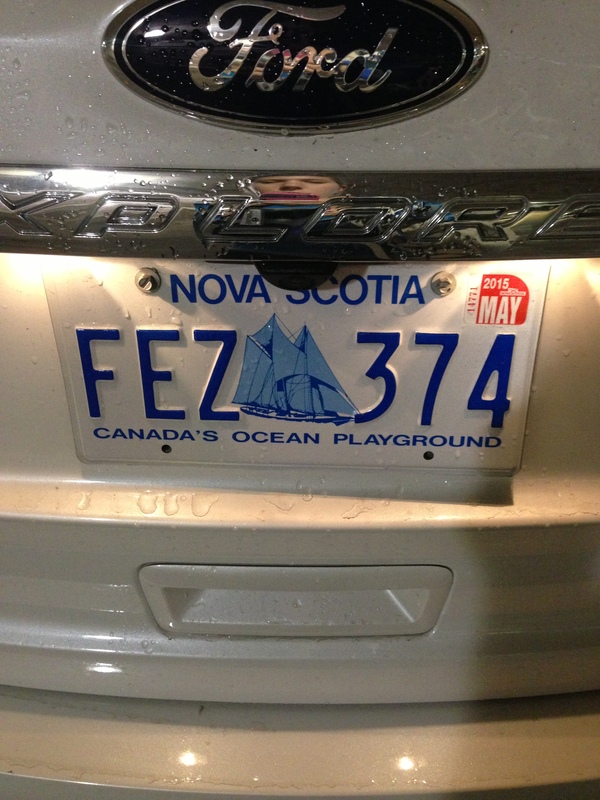 We arrived in Nova Scotia with the task of driving 3.5 hours to North Sydney to the ferry to Newfoundland. We stayed at a pretty nice Holiday Inn. Most importantly, they had a bar. 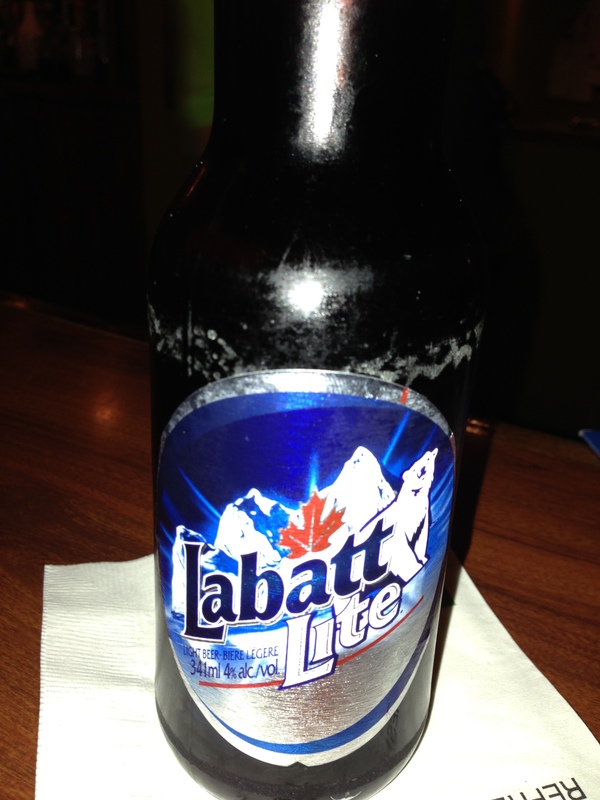 Where we learned that one of our favorite beers, Labatt Blue Light, is called Labatt Lite in the Maritimes. 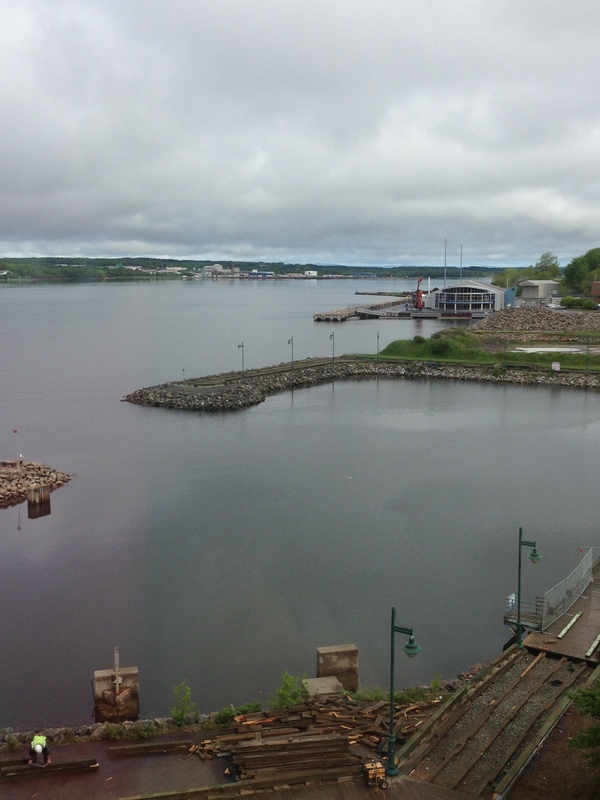 And we had a nice view of the water and a giant fiddle from the room. 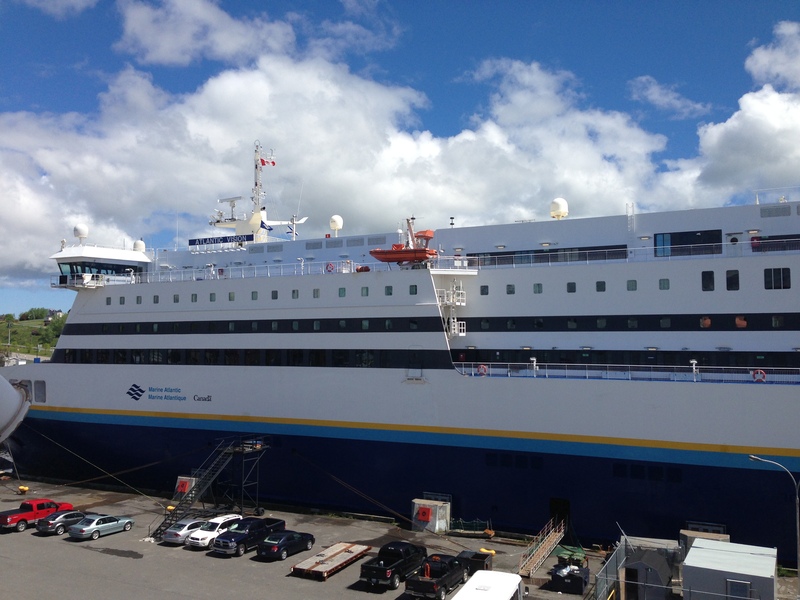 We enjoyed the view just long enough to pack up and head for our six hour ferry ride to Newfoundland!